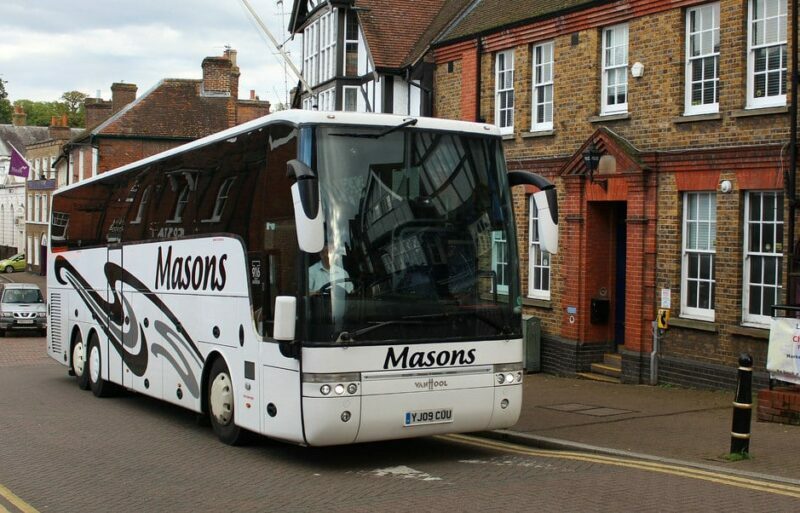 Established for over 30 years, here at Masons we hold a huge amount of experience in minibus and coach hire services throughout Berkhamsted. Our priority is to get you from location A to B in style and comfort. Whatever the event you are attending, whether you need a minibus or a coach hire or are on one of our coach trips, we are happy to assist. Our expertise lies in transporting people from all walks of life, including individuals with special needs. Our job is to ensure you receive the best service possible for your journey, and our friendly staff are available to help you with anything you require. We want to ensure that when you leave at the end of the day, you are fully satisfied with our service. You can find us just 20 minutes from Berkhamstead. We offer our services throughout this area so if you’re looking for a coach trip, or minibus or coach hire, get in touch by calling 01296 661604 or via our online contact form, and a team member will get back to you shortly.